Metal-free safety shoe from the Ladies’ Safety range of Amblers Safety footwear. Includes composite cap and midsole protection. Smooth mono-black action leather upper with horizontal mid-eyelet overlay. Padded collar with mesh lining. 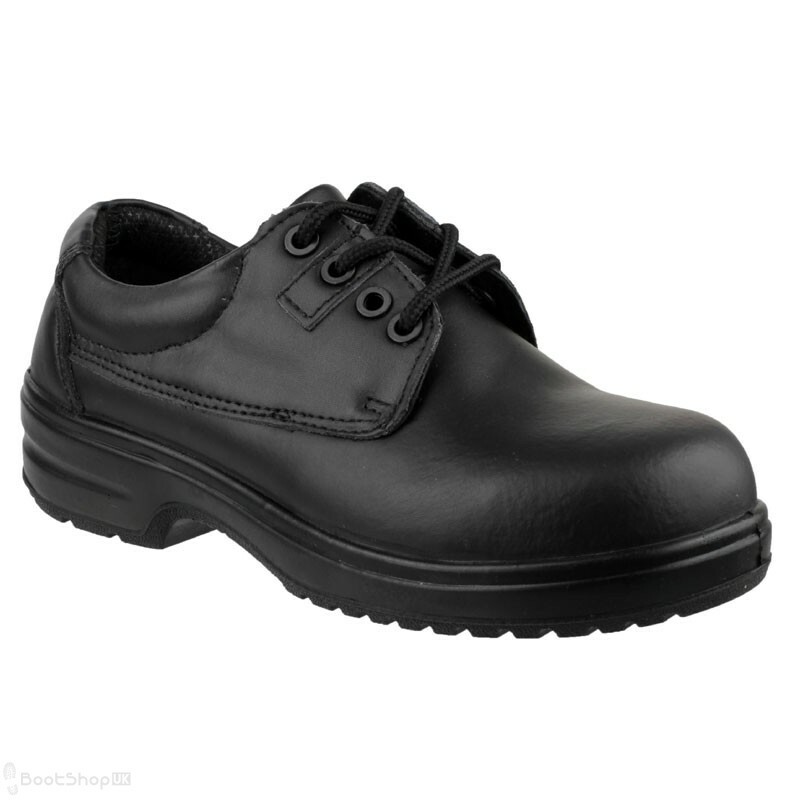 Slip-resistant PU sole unit with energy absorbing heel. Antistatic construction. Contains non-metallic components. Composite Cap/Midsole - Non-metallic and considerably lighter compared to steel. Padded Collar - Gives extra support to the ankle and added comfort. PU Sole - Lightweight yet hardwearing and ideal for use in a variety of environments. SRC slip resistance - Tested on a ceramic tile contamination with a dilute soap solution. Tested on smooth steel contamination with glycerol. S1-P Toe protection tested to 200 joules impact. Anti-static and energy absorbing heel. Penetration resistant to 1,100 Newtons. Tested Conforms to EN ISO20345 Safety Footwear Standard.